The competitive fray of e-commerce has led to increased competition in the e-commerce industry in Malaysia, suggesting that growth is imminent for local operators. 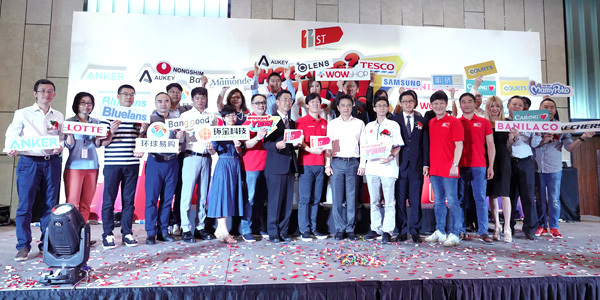 With that, 11street – Malaysia’s number 2 online marketplace – is driving initiatives to accelerate its business growth by introducing a plethora of local and international products to contribute to Malaysia’s e-commerce industry. Chuljin Yoon, Chief Operating Officer of 11street shared: “With the rapid digitalisation of economies, we are looking at a world of connected businesses. China, Japan, Korea and USA top the chart for active e-commerce penetration, so no doubt the Southeast Asian countries including Malaysia are a melting pot of opportunities for the e-commerce boom to take place. Yoon also pointed out that since 2016, cross-border trading (CBT) in Malaysia has been experiencing exponential growth. For 11street Malaysia alone, the total order volume for global products has grown remarkably by double this year as compared to 2016. The most popular countries whose products are most sought after were China, Japan, Korea and USA. 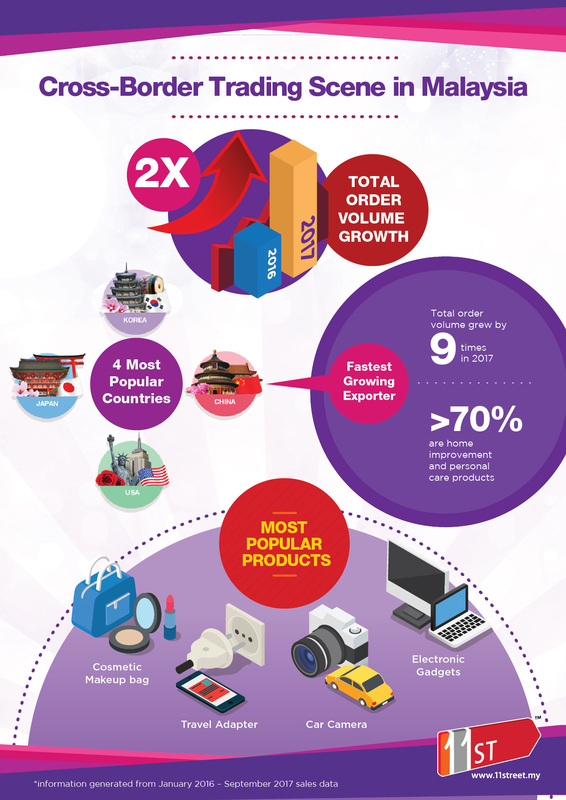 Worth mentioning, the total order for China products grew by 9 times this year with more than 70% purchase under the home improvement and personal care range of products. 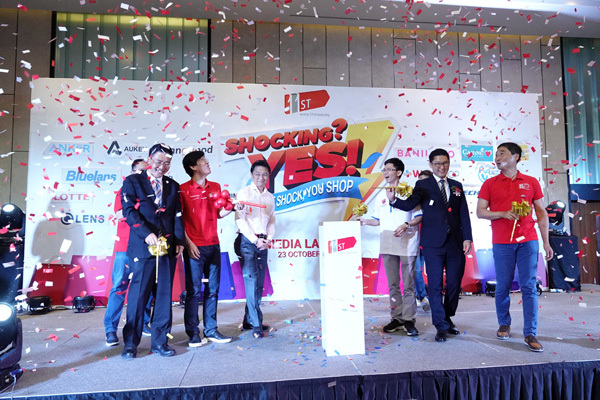 Global products of the highest demand were items such as car camera, cosmetic make-up bag, travel bag and electronic gadgets, so with this information and through their market insights, 11street is en route to execute campaigns that benefits consumers with a wider product variety, yet continues to boost the growth of e-commerce in Malaysia. Onwards through a past 11street survey, shoppers have revealed that price plays a key factor when it comes to online shopping; the other factor includes product abundance for all categories across international brand standards. By collaborating with thousands of locally established and globally recognised brands, the launch of 11street’s year-end online shopping campaign – ‘Shocking? YES!’ – will introduce 100,000 Lowest Price Guaranteed products and free shipping for purchase above RM29 under the Shocking Deals section beginning 1 November 2017 and ending 31 December 2017, with over thousands of sellers and international brands to shop from. During the campaign, consumers will enjoy a range of products from global participating brands, namely Globalegrow (a public listed brand on the Shenzhen Stock Exchange with market capitalisation exceeding US$3 billion); Anker and Aukey (top ranking global Amazon sellers leading in the charging category, and consumer electronics and mobile tech accessories respectively, in more than 20 countries including the USA, Japan and Europe); Hada Labo (number 1 face lotion in Japan, with one bottle purchased every two seconds); OLENS (number 1 cosmetic lens supplier in Korea); MamyPoko; and Samsung, to name a few. Other participating brands include Banggood, Banila Co., Bluelans, Caring Pharmacy, CJ WOW Shop, Courts, Lotte, Mamonde, Nongshim, Skechers, Tesco, UEB Technology, and many others. As the number 2 online marketplace in the country, 11street’s growing business portfolio now has more than 40,000 sellers with over 13 million listed products, and has an average of 16 million monthly visits. The launch of 11street’s ‘Shocking? YES!’ campaign was witnessed by Tan Sri Datuk Ter Leong Yap, President of the Associated Chinese Chambers of Commerce and Industry of Malaysia (ACCCIM); Akira Kajita, Managing Director of the Japan External Trade Organization (JETRO) Kuala Lumpur; Yeon Sung Whan, Director of the Korea Trade-Investment Promotion Agency (KOTRA); and Adam Tan, Vice President of the China Entrepreneurs Association in Malaysia (PUCM). For more information about 11street’s ‘Shocking? YES!’ campaign and its series of Shocking Deals, please visit www.11street.my.